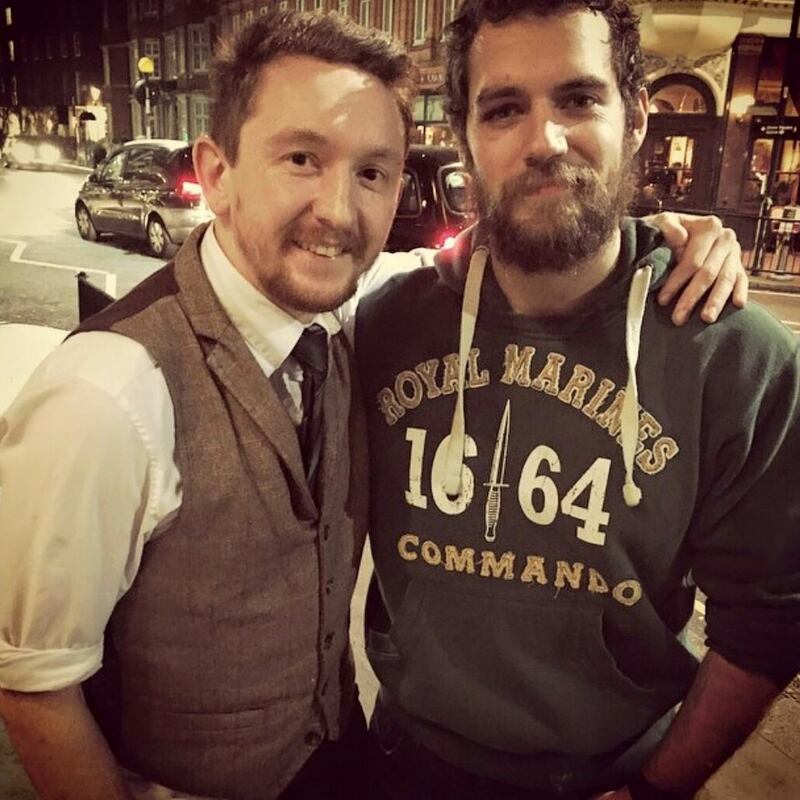 chrisirichmond: "So tonight I met the actual Superman, Henry Cavill?!? #TheTudors"
Chrisi and her friends met Henry last night, and what can we say.. there are a lot of pretty people in London! -- and like Pamela mentioned below, Henry is always the nicest. calumthebotanist: "Casual Superman photo #Superman #HenryCavill #Beard #BeardPorn"
Caleb later added: "Such a nice guy, made him a couple of cocktails and hung with him. Humble." Enjoy your time back home, Superman!.. (or should we say Stratton representing, with his RMCTF hoodie?) -- Either way, you all love his look! @HenryCavillNews He still looks immensely handsome, the more I look the more 'caveman' he's getting lol! A very fine one that is..
@HenryCavillNews Is he injured? Looks like he has a black eye or something? We don't know if that's a black eye or not. One of our readers (thanks, Jai) thinks maybe Henry got injured while training for Stratton. All we'll say is even a bruise looks good on him #streetcred -- and if it is a shiner, feel better soon Henry.. ouch. Don't miss the rest of the pics from the weekend. River... <3 :) Thank you. :D I appreciate your comments. 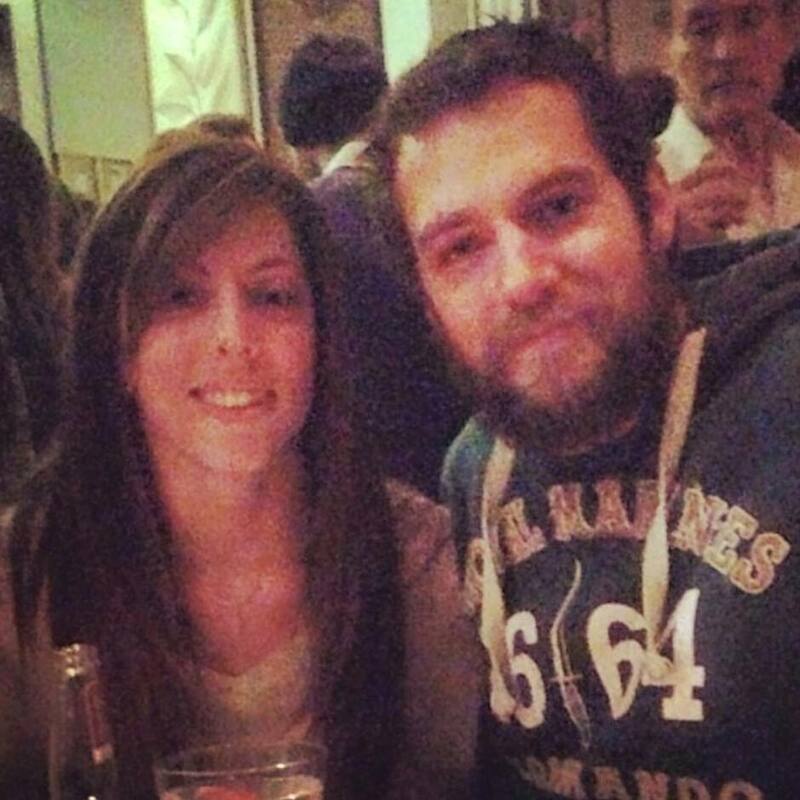 Henry looks like he has a black eye, his right eye...could it be from training -Stratton? We don't know, but we've now mentioned the possibility on the post since we're also getting comments on Instagram about it. Hopefully that's what it was! -- Thanks, Jai. Edited response because our previous one didn't sound right. *Of course* he's not! - If we get official word, we'll let you know guys. Jai is probably right. I see the beginnings of fresh curls. Yay. ???? What are you talking about? I have no idea what that person is talking about either, but I have an idea who posted it...ridic. Sorry guys, we try to moderate as best we can. Thank you for keeping and eye out and letting us know about stuff we miss. Really appreciate it! Everything is awesome!.....it's cool to be part of a team! -(Lego Movie) lol it's hilarious! Lmao!...i love it, I saw it the other day, so funny! Henry is one of the sexiest actors around who really doesn't get the credit or acting attention that he deserves. Now with that said, he really needs to go shopping and purchase new clothes, I'm sure he can afford more variety. He's always in the same clothes. It's not about what he is wearing, it's why he's wearing it. To support the Royal Marines -RMCTF , the charity he's working with. He is enjoying his break, he can wear what ever he wants cut him some slack. He is in his hometown having fun and at the same time the guy is still supporting the cause. Bravo Henry for being down to earth and still supporting things that matter to you! Those Crazy fans!!! Please take it down?? Thank you, not sure what that was about. You guys are the best moderators. Tout à fait d'accord avec toi. J'ai envie de monter dans le prochain Eurostar ! Je doute qu'il se soit fait son oeil au beurre noir à l'entrainement car il ne l'avait pas la veille. A moins qu'il travaille le samedi, ce qui est possible. J'espère qu'il va bien en tous cas. Son sourire est là et toujours aussi beau. Quant à la personne qui poste des messages négatifs, je n'ai pas eu le temps de les lire mais quel est son problème avec Henry ? Un mec aussi adorable. Je ne comprends pas.